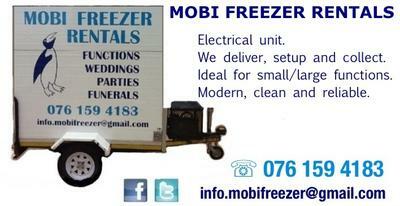 Our refrigerated cool rooms keep your food fresh and drinks icy cold...! Leaving you more time to relax and enjoy your party or event. The mobile freezer rooms are designed to be parked, stocked and powered by 220v power suppliers to refrigerate your product of choice down to -20 degrees.